This entry was posted on Sunday, January 22nd, 2012 at 6:00 pm and is filed under Uncategorized. You can follow any responses to this entry through the RSS 2.0 feed. You can leave a response, or trackback from your own site. great post as always. you are certainly teasing us with the Apple talk. anyway, i was not familiar with CT orders….but after a little research it appears that in order for the CT order to be granted by the SEC, the requesting filer needs to show both the competitive harm that would result from full disclosure, and why the information is not material to investors. so i can see how Sandisk could meet the first requirement and convince the SEC that an agreement with Apple if fully disclosed could result in competitive harm to Sandisk, but i don’t understand how they could meet the second requirement and convince the SEC that an agreement with Apple (the worlds largest purchaser of flash) would not be material to investors? Additionally the identity of a 10% customer is an example of required disclosure ineligible for redaction. if Sandisk is in fact in more Apple products than the tear-down guys have shown us, then why have they not risen to the 10% level for disclosure? Finally, it appears that Sandisk has used CT orders a total of 4 times..
i imagine that at least one of the prior CT’s were related to details of the Samsung licensing agreement …an agreement that was disclosed to the public but perhaps not 100% of the details of the pricing. i’m just not sure of the likelihood that the SEC would agree to a redaction of the disclosure of an agreement with Apple….just guesswork on my part since i really don’t know anything about SEC operations. FWIW, my understanding of the CT process is that it can be a bit loose. And the SEC isn’t all that restrictive. The more intriguing angle is Tristan Gerra’s comment that SanDisk is building capacity dedicated to Apple. If anyone has contacts at Baird, it would be interesting to hear what he has to say. You are right, if Apple were a 10% customer, it would have to be disclosed. So apparently from Apple’s perspective, SanDisk is a significant supplier, and from SanDisk’s perspective, Apple is not a 10% customer. I suppose all Apple’s SanDisk purchases could be for its iPod Nano, but that might be a stretch. 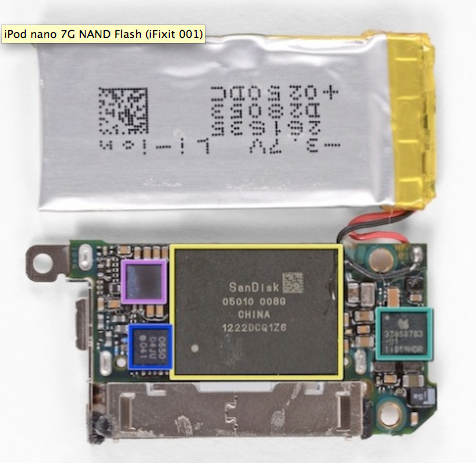 More likely, to my mind, is that SanDisk NAND is finding its way into other Apple product lines. A couple of other angles or background, that didn’t make it into this post. Back in 2009, the capacity that SanDisk sold to Toshiba, was flipped by Toshiba into Apple supply. In January 2009 SanDisk sold ~20% of its captive capacity to Toshiba. At the beginning of July 2009, Toshiba turned around and entered into a long term NAND supply agreement with Apple. SanDisk is the only NAND producer that has not entered into a long term supply deal with Apple on a prepayment basis. Though a while back Intel has bailed. 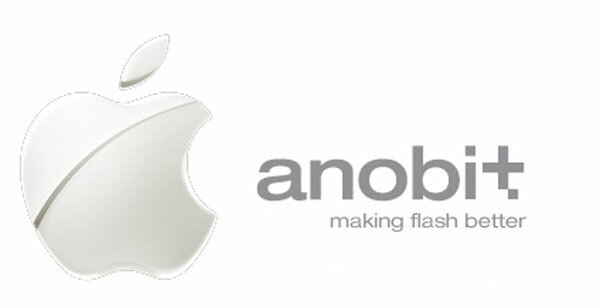 Selling NAND to Apple doesn’t work out for everyone. Back in Q4 2008 Intel canceled its supply deal with Apple. How about those Apple earnings? Lots of NAND required. Happy New Year. And thanks for your thoughts. Thanks, Savo. Like gal2k, I wasn’t familiar with Confidential Treatment orders with the SEC, but I guess some kind of provision would have to be made for sensitive info. I wonder what the cost/benefits are to SanDisk as a supplier to Apple. On one hand, Apple can guarantee huge purchases, but on the other hand, I’m sure Apple presses its vendors hard for good pricing. Savo, the SNDK/AAPL relationship certainly is an enigma, as you’ve pointed out. Lots of smoke but no fire yet. The recent rumor of Toshiba’s interest in acquiring SNDK to control their fabs adds to the mix, although the rumors may have been planted for trading purposes near option expiration dates. There have also been rumors of AAPL turning to INTC and TSM for foundry services as alternatives to Samsung which lends credence to the “away from Samsung” theory. What are your thoughts on some sort of AAPL/SNDK/Toshiba deal involving IP, fab ownership, and NAND supply? Very interesting and ‘Sherlock Holmsy’ post. Are you rethinking part of your theory about SNDK-APPL in light of today’s SNDK results? I’m also curious to know what is your preliminary analysis of the results. It seems Goldman Sachs were right. In light of SNDK’s Q4 earnings, it’s clear that today SNDK is not shipping in volume to AAPL. It’s also clear that they won’t be shipping to Apple in volume in 1H of 2012. That said, 2H 2012 is not so clear. SNDK appears to think it will be getting a big revenue boost. Apple could be a factor. Another of the items, I didn’t get to in this post is where the best fit would be between Apple and SanDisk. Apple would like NAND dirt cheap. SanDisk prefers to sell integrated product with added value which help keep SNDK margins up. If there should be a meeting of the minds between the two companies, the obvious point would be product where Apple needs sophisticated NAND solutions. Beyond what Anobit can provide. One such area would be SSDs. I doubt Apple is going to get into the SSD business. Right now Apple uses Toshiba and Samsung where SSDs are required. No reason that SanDisk shouldn’t get a piece of that action- if SanDisk can deliver a cost effective high performing consumer SSD. Personally I have been underwhelmed with SanDisk’s SSD efforts to date. I expect we will hear more on SSDs soon at SNDK’s upcoming investor day. Probably more management turnover as well. SanDisk appears to be evolving- hopefully for the better. As I tried to say in this post, and as MartyS put it: the SNDK/AAPL relationship is an enigma. Lots of smoke, but no fire yet. So I guess one could say that something is “Cooking” eh Savo? Sorry…couldn’t resist. Thanks for your insights. What are your thoughts on SanDisk’s acquisition of FlashSoft? Seems like a very minor acquisition. I’ve been a bit distracted. Your question about FlashSoft is a good one. Not much in itself, but this acquisition is, purportedly, symbolic of the next step in the evolution of SanDisk. At least according to Sumit Sandana at Analyst Day. The last big step was the transition from being primarily a retail company to primarily an OEM company. So far so good on that one. I hope to finish another Apple/SanDisk post for tomorrow. It will touch on Analyst Day, the Kinnucan FBI capers, and rumors.